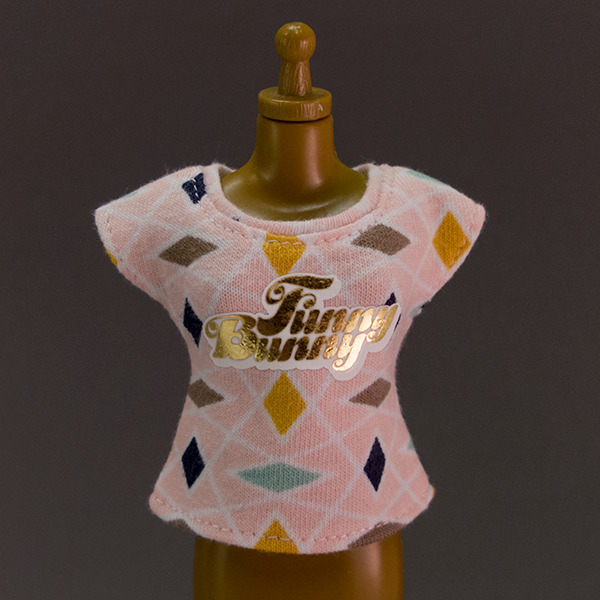 The motif is, well, the text logo of Funny Bunny. 2 layers of vinyl. Base fabric is pale warm pink with geometric fabric print. Print: Golden foil on smooth white vinyl.